I spent a good portion of this last weekend wandering the dry and desolate plains of Borderlands. Borderlands, like so many other first person shooters, presents gamers with a sea of repetitious enemies, inane quests, and a paper thin storyline set in an all too familiar landscape. To Gearbox Software’s credit, the game does employ an interesting A Scanner Darkly-esque visual style, but Borderlands brings little else to the oversaturated FPS market. Why then was I so content to spend hours this weekend parked on my keister whittling away at my meager quotient of free time? The answer is quite simple: I was playing with a friend. While Daniel has had the opportunity to play the Xbox Live version of Borderlands with some complete strangers (an experience he affectionately refers to as “Bro”derlands) we are both agreed that the best way to enjoy this game is in off-line co-op mode. Sure, the screen is split which creates some visual challenges, but so what? Exploring Pandora and searching for the next great gun or level up is simply more fun with a buddy. Even the most mundane mission can be entertaining with some company. Case in point: Your objective is to follow a green dot and pick up a cog so that we can re-start the town’s snow cone maker (I don’t know what we were restarting, I never read the quest descriptions). This quest would be completely boring if it weren’t for my crippling incompetence behind the wheel. When I take a wrong turn and crash our vehicle into an explosive pit filled with monstrous ant spiders, things become more exciting. A one man army firefight is pretty interesting, but we see that in pretty much every FPS. Toss in the dynamics of having to rescue your partner or work together to bring down a colossal foe and the experience becomes much more engaging. Co-operative play makes humdrum games like Borderlands pretty fun and it makes solid games, like the new demo for Left 4 Dead 2, a complete blast. The NES, Sega, and other Bronze Age consoles bear little in common with the sleek machines which now dominate the market. However, in their enduring wisdom the founding developers made sure that early consoles came with two controller ports. Single player games were fine, but if you ever wanted to get the most out of your system you would need to acquire one thing that not even the most skilled manufacturer can build for you: a companion. I think this was a very forward-looking move on the part of developers. The best things in life are the ones we share with other people. If video games were ever to attain widespread popularity they would have to evolve to be more inclusive. Challenges abound as, unfortunately, one of the dangers of the video game medium is isolation. On top of the limitations of a split screen, many game genres don’t readily lend themselves to co-operative play. Static storyline RPGs, for example, are almost exclusively a single player affair. Fighting and sports games are, by their definition, a contest rather than a shared effort. Many puzzle games, tower defenders, and even platformers which practically beg for a cooperative element, simply do not have room for more than one gamer at a time. Fortunately, as the medium matures so has its ability to bring more and more people into the mix. The curious platformer/puzzle game LittleBigPlanet is a fine illustration of how co-operative play has come along; you couldn’t pull moves like that in Super Mario Brothers, no sir. While I have plenty of gripes about trends in the video game industry (see paragraph 1), I am encouraged to see more high quality games which have a co-operative element. I wish that Borderlands and many games like it would provide a better single player experience but, barring that, I will settle for a well polished cooperative element. 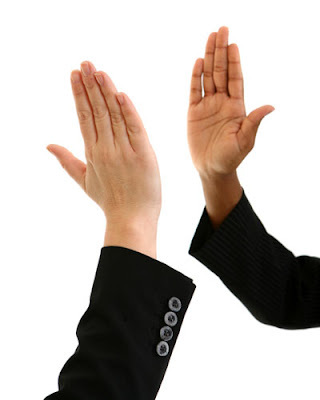 Online play with friends is fun too, but it will never replace a timely high-five after you and your friend beat the big boss together. "you would need to acquire one thing that not even the most skilled manufacturer can build for you"